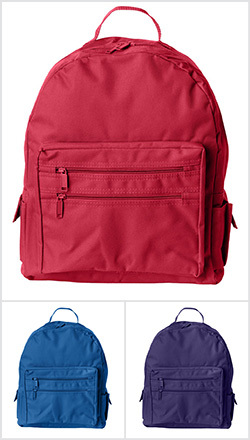 A basic backpack from Liberty Bags? Not hardly. With all its pockets, zippers and vibrant decoration possibilities the only thing basic is the price.